New Car: Are You Driving Your Investment Property? http://www.indigofinance.com.au/wp-content/uploads/2017/03/default-v2.jpg 198 300 wsadmin http://www.indigofinance.com.au/wp-content/uploads/2017/01/indigo-finance-logo.png wsadmin2014-10-15 01:37:522017-03-09 02:44:33New Car: Are You Driving Your Investment Property? Identity Theft – Do You Know How to Protect Yourself? 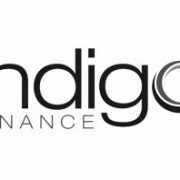 http://www.indigofinance.com.au/wp-content/uploads/2017/03/default-v2.jpg 198 300 wsadmin http://www.indigofinance.com.au/wp-content/uploads/2017/01/indigo-finance-logo.png wsadmin2014-10-09 01:34:302017-03-09 02:45:08Identity Theft - Do You Know How to Protect Yourself?